These meetings take place at the Smith Art Gallery & Museum, Stirling at 14.00 on a Sunday unless otherwise stated Click here for location map. January 21st 2018 - Society meeting at Stirling. March 18th 2018 - Society meeting at Stirling. April 21/22nd 2018 - Some of our members may be attending the NEMS exhibition at Beamish. May 6th 2018 (to be confirmed) - Some of our members will be exhibiting at the Kilmarnock Classic Car Show. 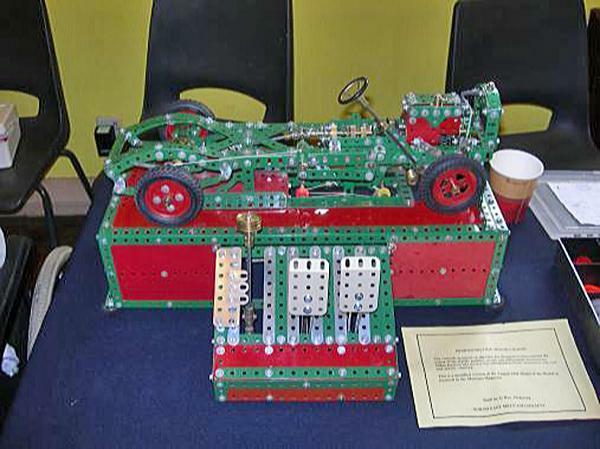 May 19th 2018 (Saturday) - An all day meeting from 10:00-17:00 at the Scout Hall, Menstrie (near Stirling) for model building, demonstrations and a general chat. The annual challenge at our Menstrie meeting will be a shooting gallery. More details here. Click here for Menstrie location map. Early June 2018 - Some of our members will be attending the exhibition at Summerlee. 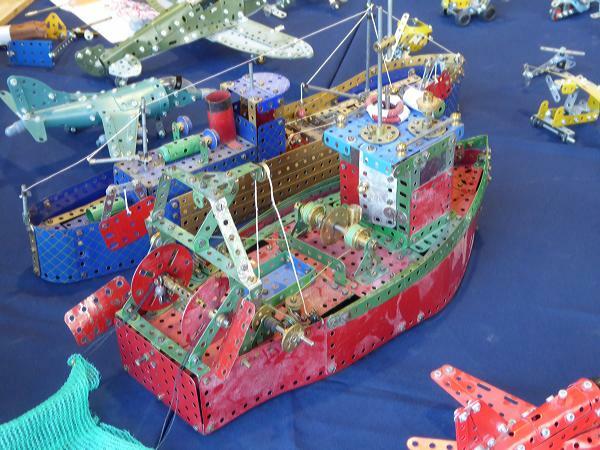 June 22/23/24th 2018 - Some of our members will be attending the Skegness Meccano Exhibition. August 19th 2018 - Society meeting and AGM at Stirling. September 8/9th 2018 - Our Annual Exhibition will be held at the Farming Yesteryear event at Scone Palace, near Perth. October 20/21st 2018 - Some of our members will be attending the Greenock Model Railway Exhibition. October 27th 2018 - Some of our members will be attending the NEMS annual exhibition in Darlington. November 18th 2018 - Society meeting at Stirling. These links direct you to a mapping site and show a map of the relevant area. The actual location is shown on the map by an arrow. You can either zoom in for more detail or zoom out to see the general area. The arrow should stay in the correct place.